Three things that really excite us are purpose, planning and profit. 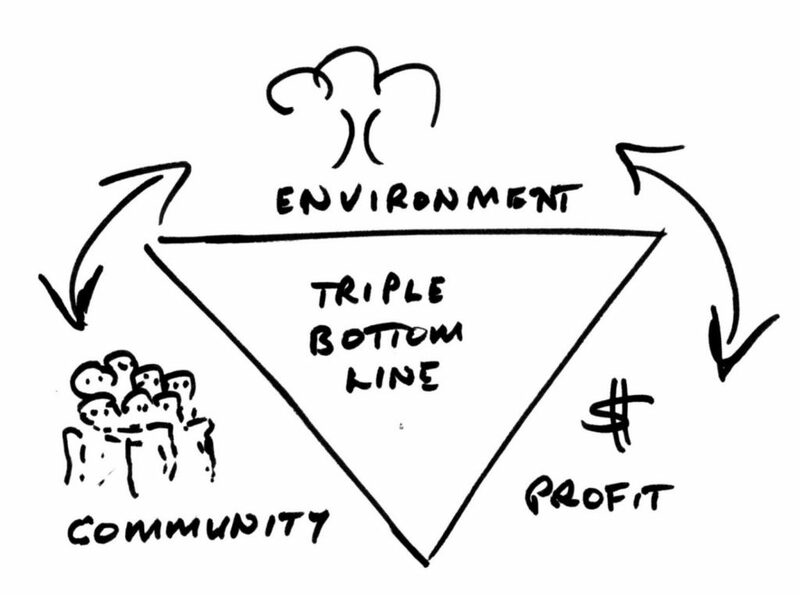 This term extends the “people” cornerstone of social enterprise in some important ways. Mission-driven ventures invariably are more sensitive to the needs of people; they want to help. To act with a sense of “purpose,” is similar but also more comprehensive, or deeper. To have a sense of purpose is to have a sense of meaning in one’s life. Acting with purpose, or intention, reflects a philosophy that personal satisfaction and contentment are fundamentally tied to caring about others. Our personal situation gets better, more understandable, and more rewarding, the more we seek to make the lives of others better. It just makes sense to do right by the planet in whatever ways we can. However an enterprise is structured for profit or non-profit, sole proprietorship, corporation, coöp, association or charity, these are all important structures that allow us to get more done, more efficiently. The question is how to make useful stuff in a socially responsible way that also makes the best use of resources. Reuse, repurpose, recycle. It is a reworld..
We are interested also in the new structures that are being developed to help purpose-driven organizations achieve their goals. Many small businesses and non-profit organizations feel themselves to be teetering on the brink of disaster, trying to minimize costs while maximizing impact; earning just enough to support the purposive work to which they are deeply committed. This stress can take its toll. Unlike normal entrepreneurs who are compensated for stress with profit, social entrepreneurs are supposed to be compensated “spiritually,” from the good results they produce. That kind of compensation is, of course, real but there is a reason that do-gooders rarely achieve the global impact of a companies like Apple or Toyota. They don’t make profit an important enough goal. Social enterprise is truly revolutionary in this sense: it strives not just for surviving but for thriving. It wants to blend compassion and commitment with ambition and excellence: cultivating a culture where it is not just reasonable but desirable to scale up, do more, be more, make more of a difference.